The talking drum is an African wooden drum that is known for its hour-glass shape. There are two membranes on each end of the drum. The cords on the outside of the drum can be squeezed under the arm as it is held to create tension in the drum head. This tension changes the pitch of the drum sound. Drummers can quickly change the pitch of the drum by changing the tension and create very unique and complex drum rhythms. The talking drum was used to communicate across distances in Nigeria , where it is said to have originated. This drum can be called by many other names, but many know it by its use – the talking drum. 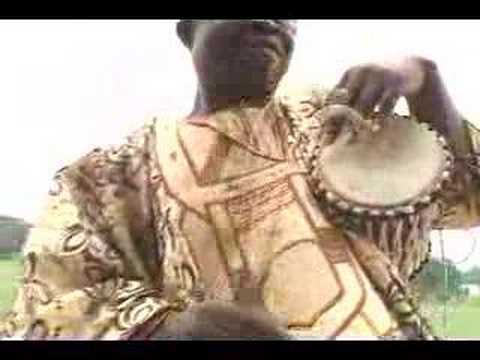 This is a helpful video that demonstrates the various sounds of the talking drum. The drummer is a native Nigerian named Kwame Ansah-Brew. 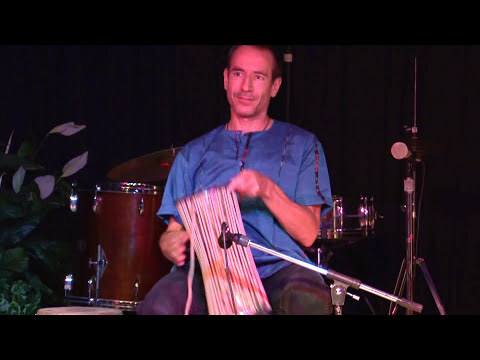 Ken Anoff plays the African Talking Drum during a performance as part of his Drum Experience Seminar. Filmed and edited by David Skinner, Workingman’s Media. 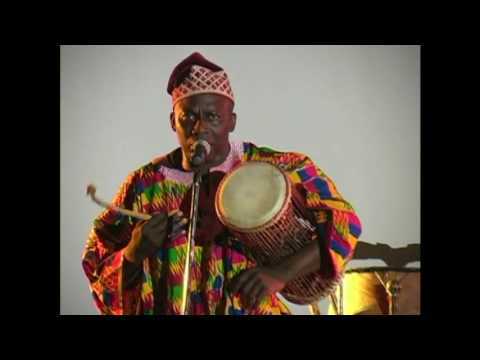 In this video Ayan Bisi Adeleke performs on his talking drum. Notice how the sound of the drum head changes pitch as he tightens and loosens the tension of the strings around the drum body.